The inaugural Pocatello 50 lived up to its billing as a savage and great course. 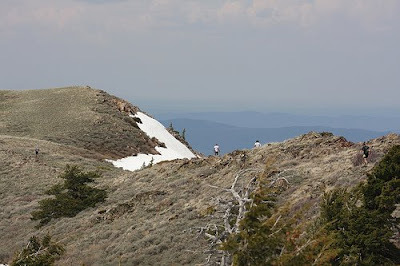 Snow, mud, rock-strewn ridges, bushwhacking, cacti, and 13,500 feet of climbing made for finishing times that left racers feeling they'd definitely earned their t-shirts. Dave James and Krissy Moehl took top honors in 9:16:49 and 10:13:23, respectively. (Click photo for larger image).